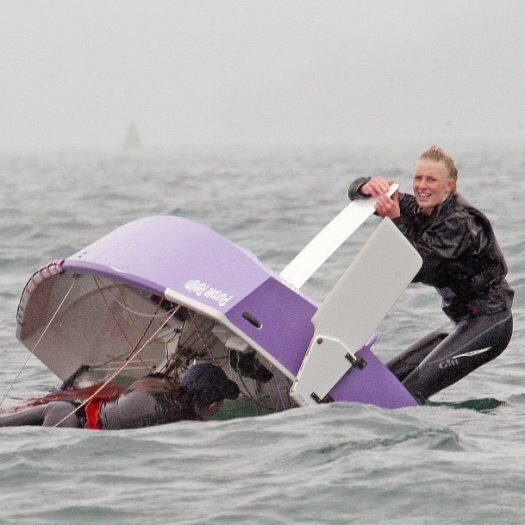 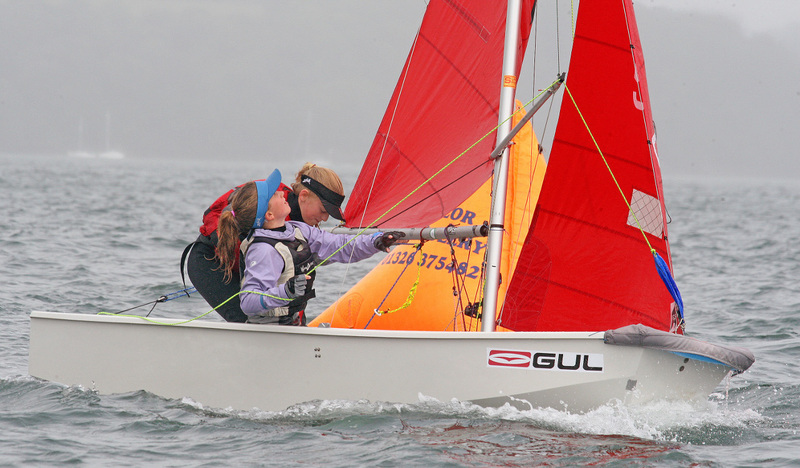 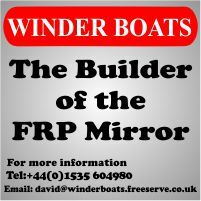 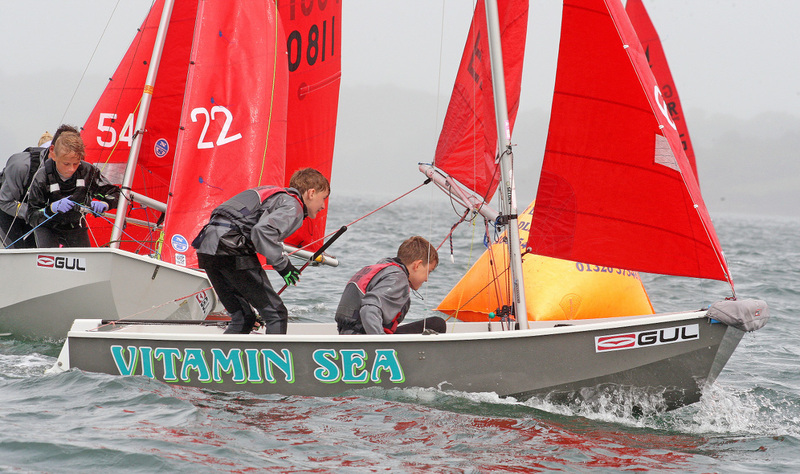 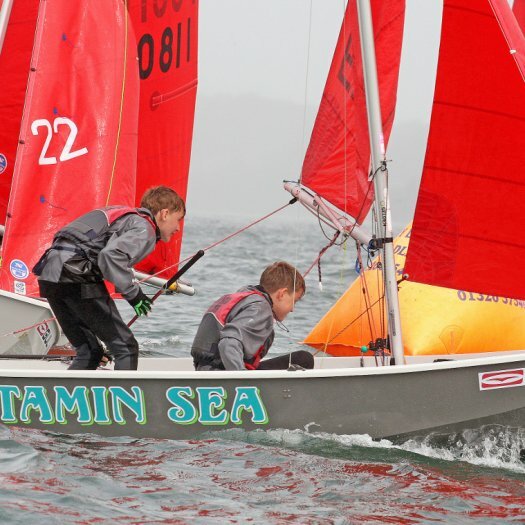 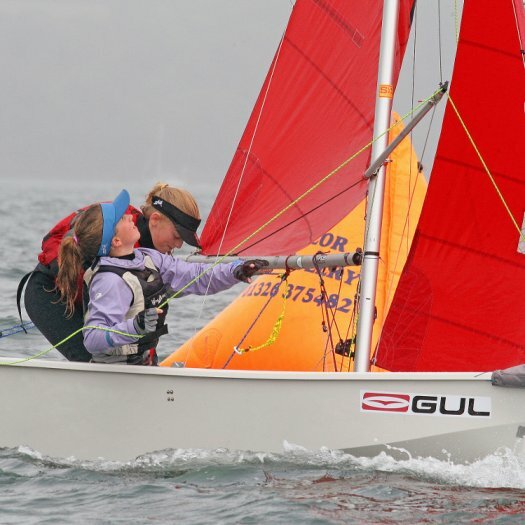 Racing on Day 2 of the Gul Mirror Nationals took place in a westerly force 4-5 with gusts and with plenty of capsizes and gear failures to keep the patrol boats busy. 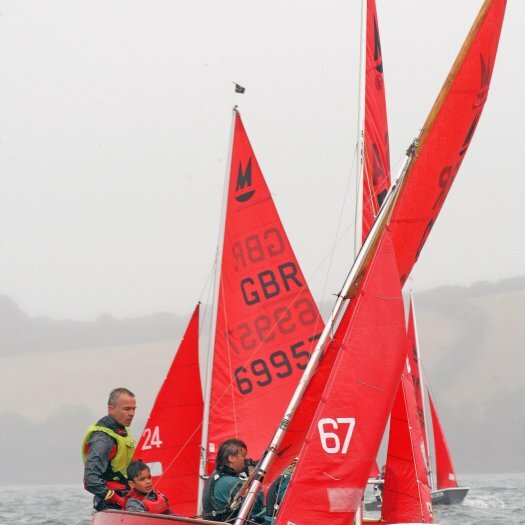 Once again it was Dave & Imogen Wade who took line honours in Race 4 with Richard & George Bullock 2nd, and Simon & Tyson Barwood 3rd. 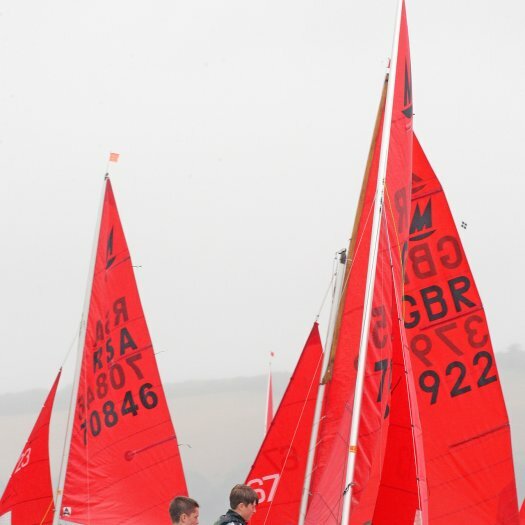 All photos taken by Sally are available for purchase, please contact Sally via her Facebook page. 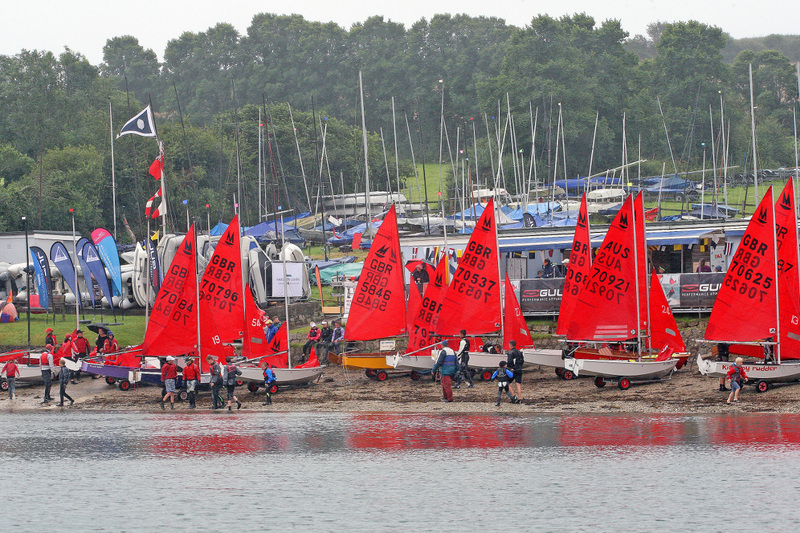 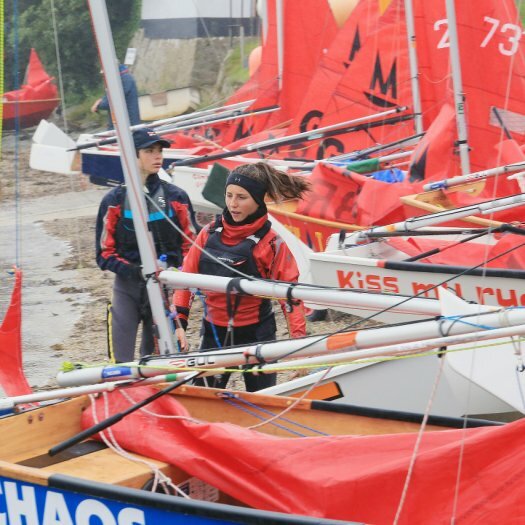 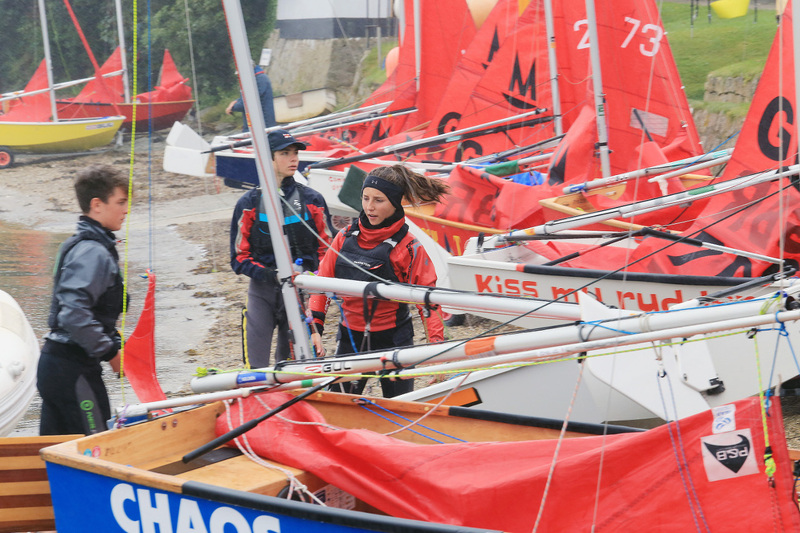 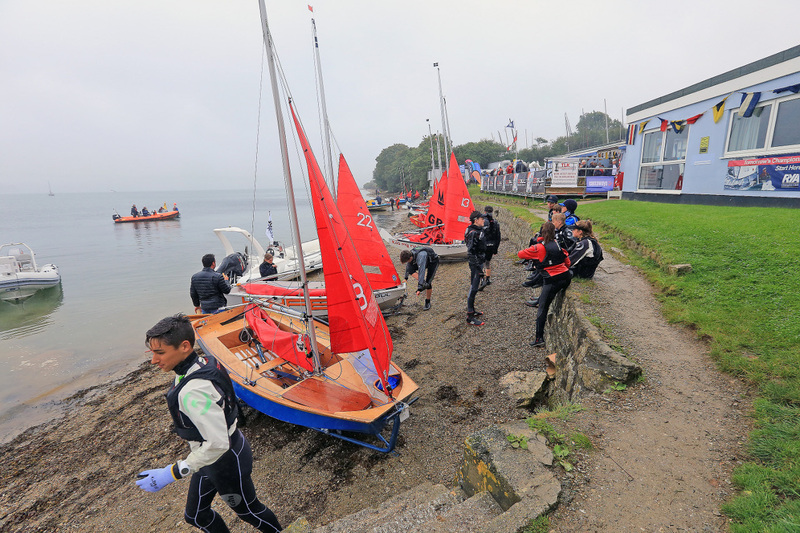 Sailors arriving at Restronguet Sailing Club for the first day of the Gul UK Nationals found it was a bit mizzley, but after a short delay, the fleet launched and racing got under way in a solid 3-4 but with lots of lighter patches, sudden gusts and shifts which caused a few capsizes, lots of place changes and kept the Race Team busy. 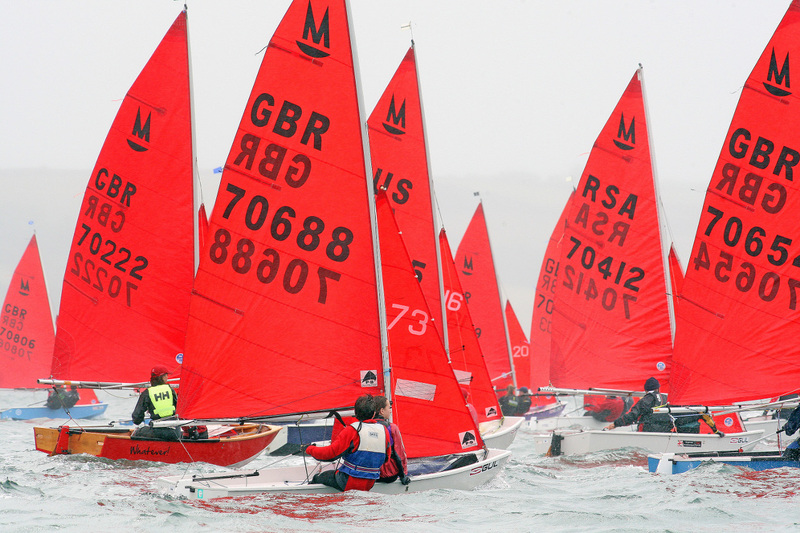 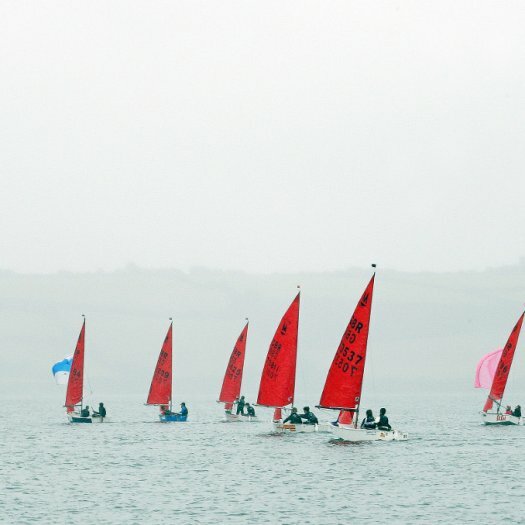 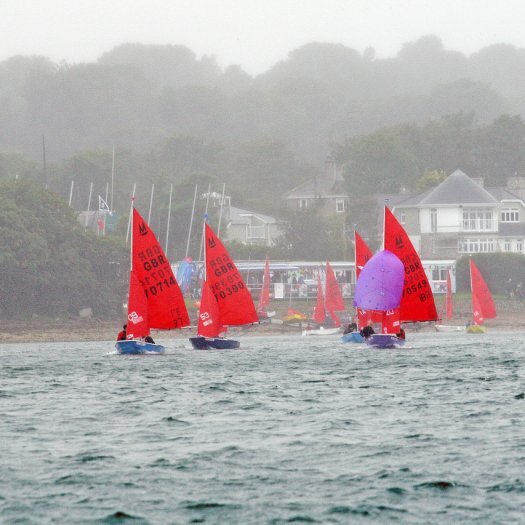 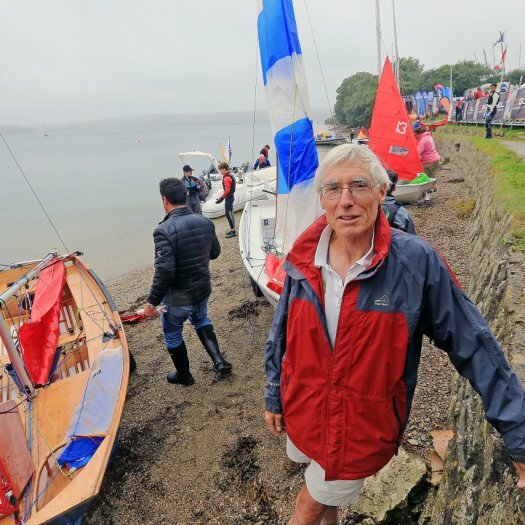 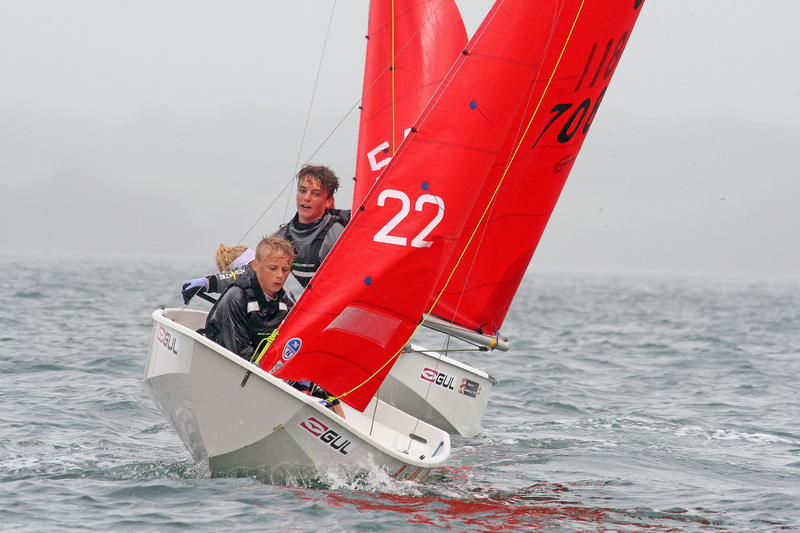 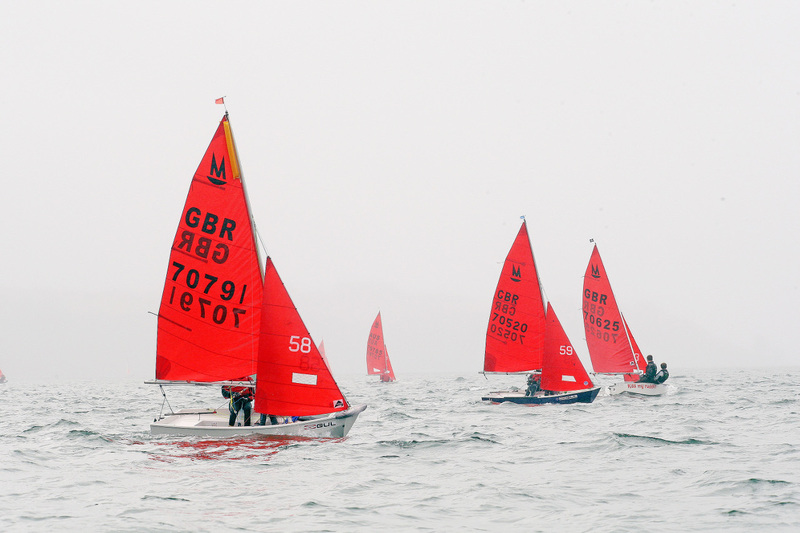 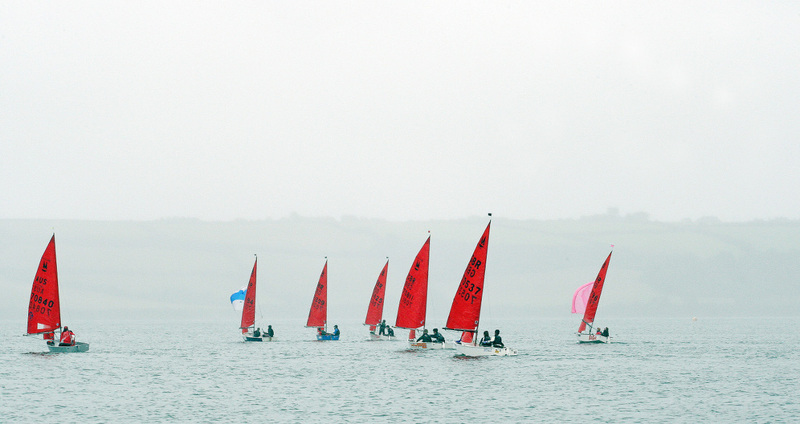 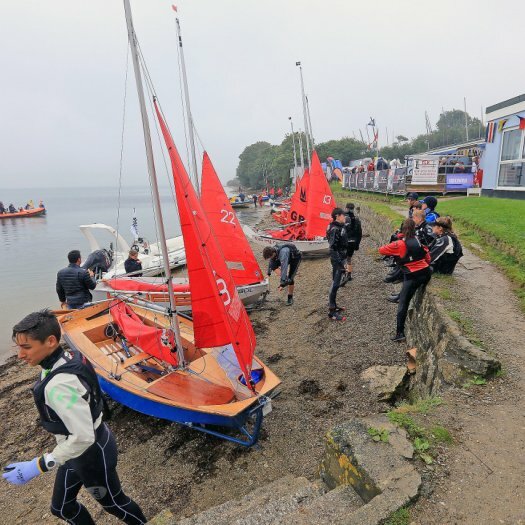 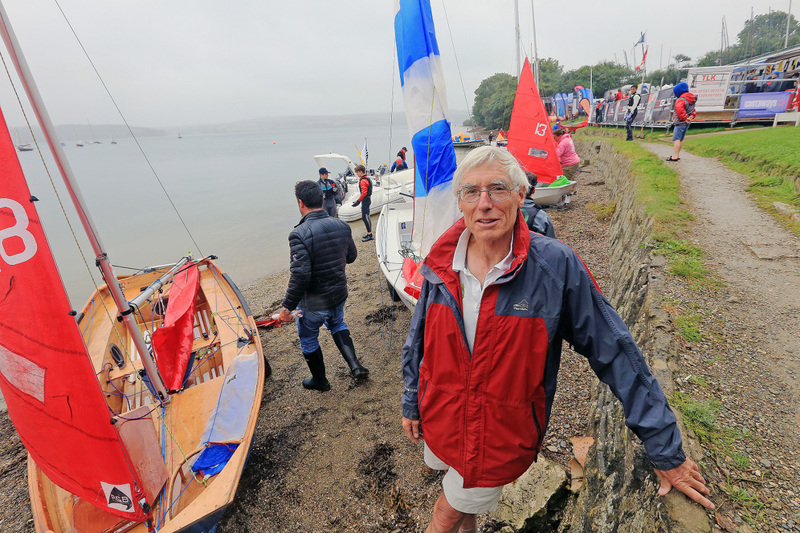 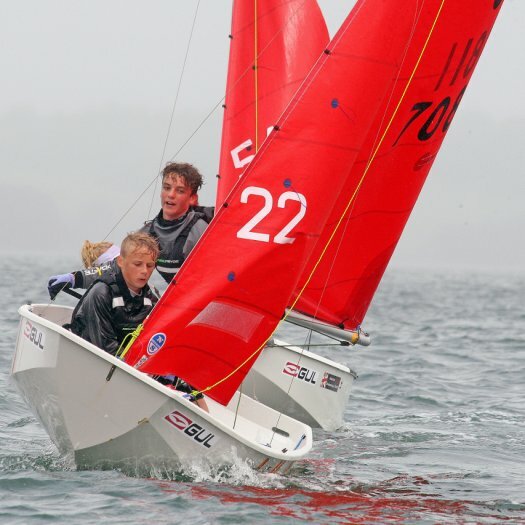 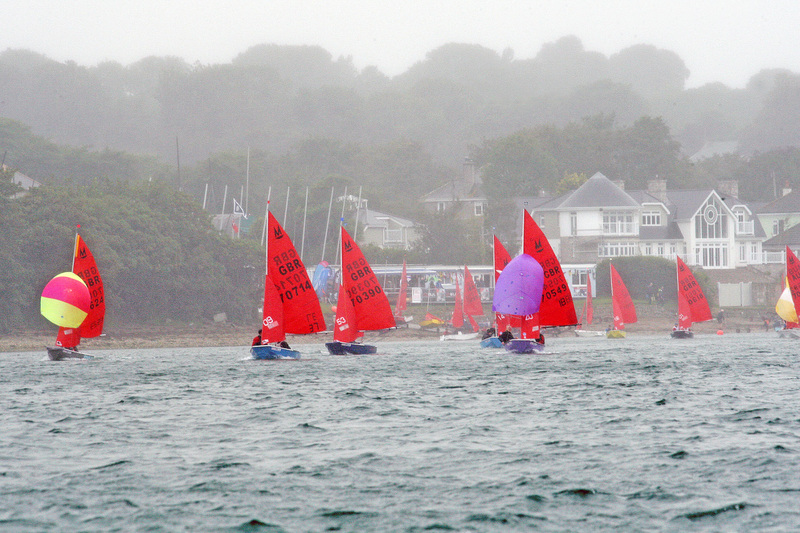 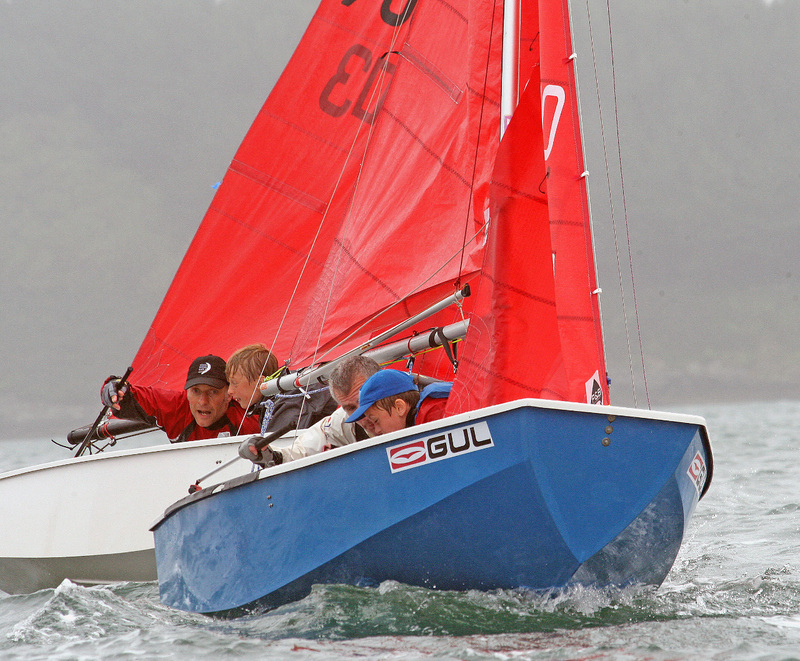 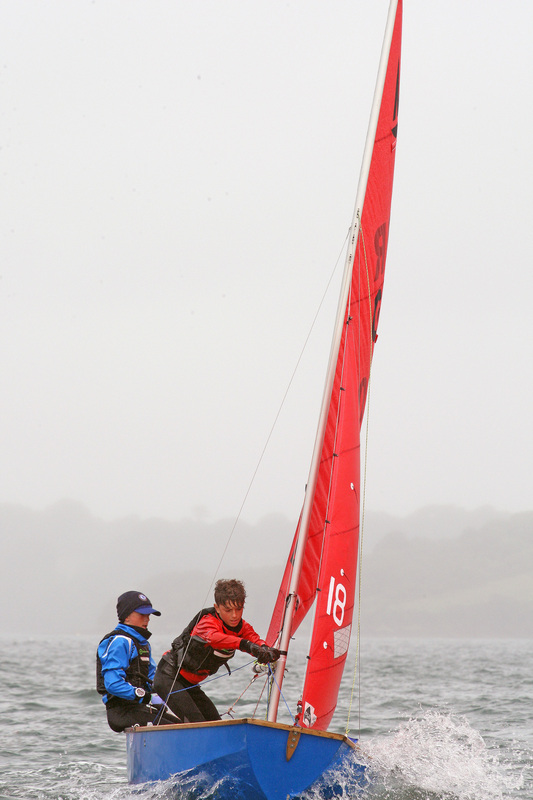 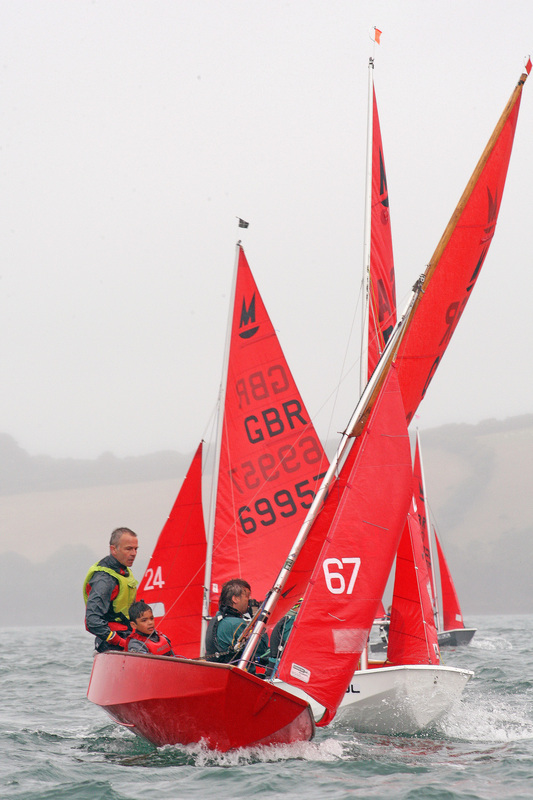 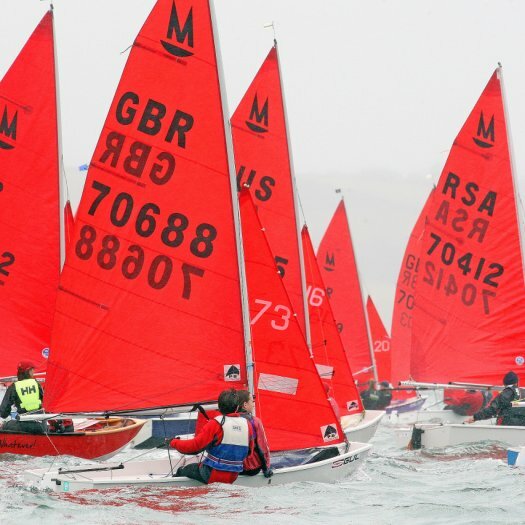 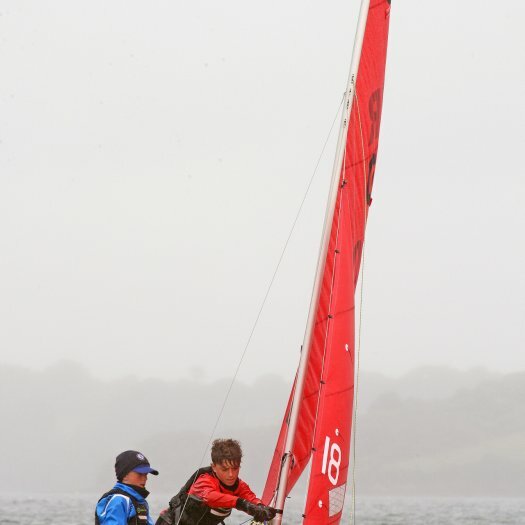 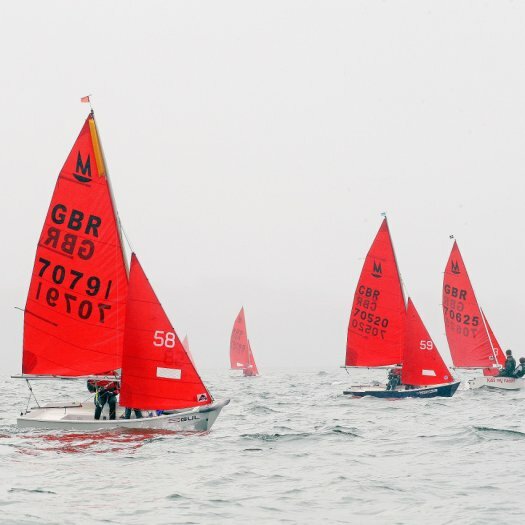 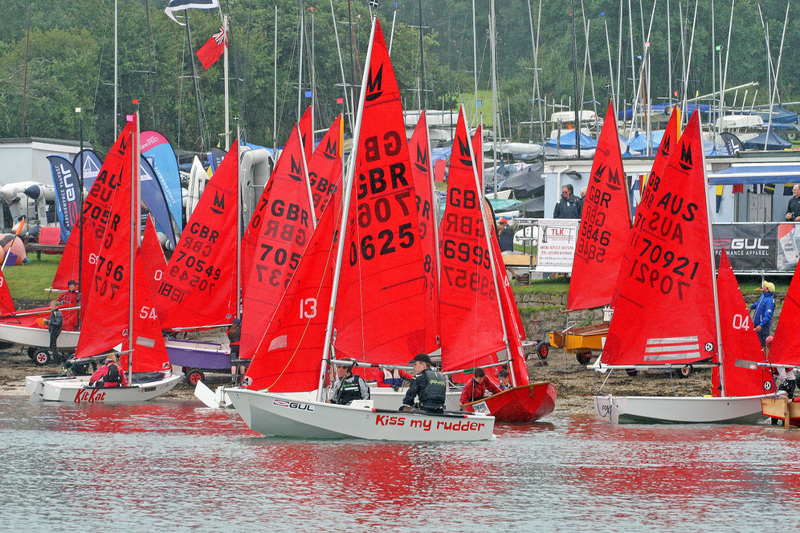 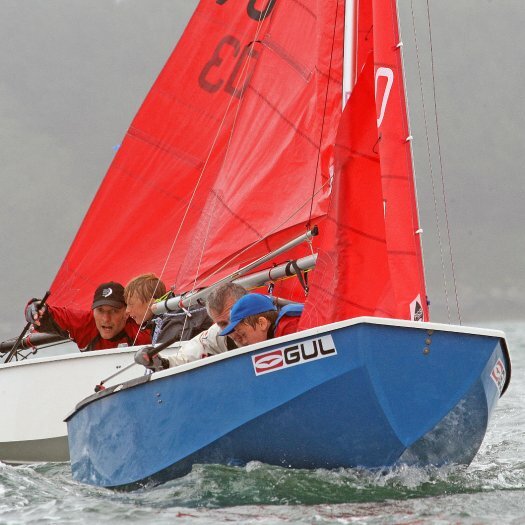 Racing on the windward-leeward course was held in the north end of the Carrick Roads and the ebbing spring tide caused a few some problems around the windward mark. 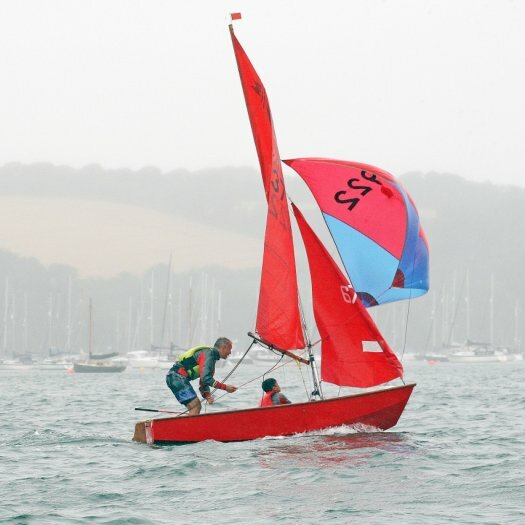 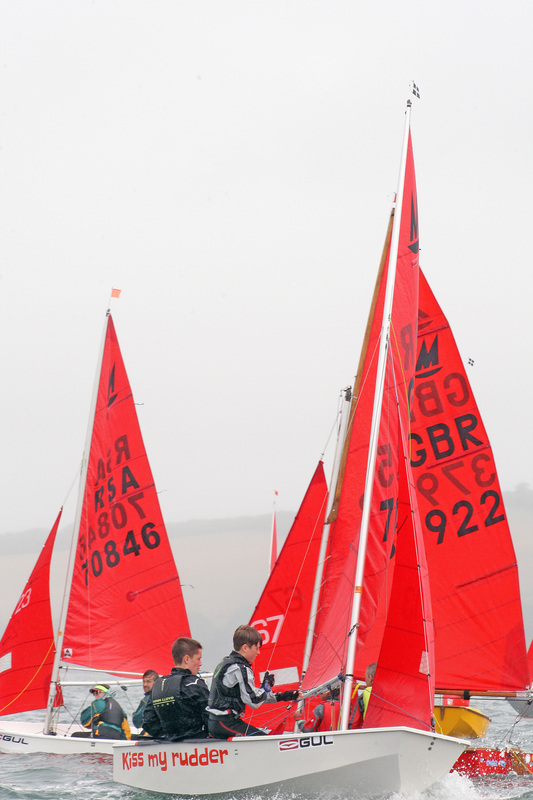 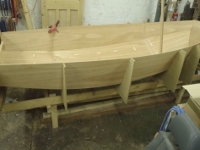 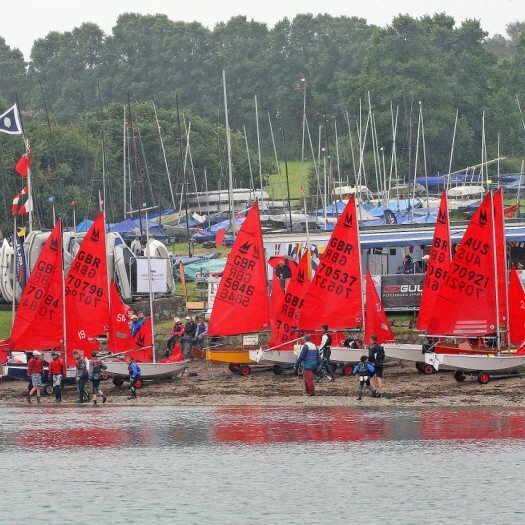 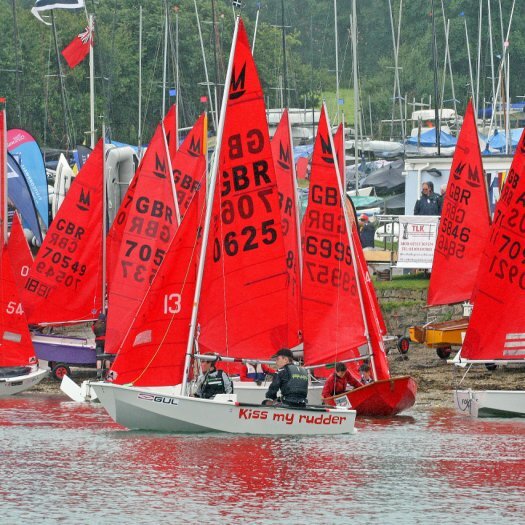 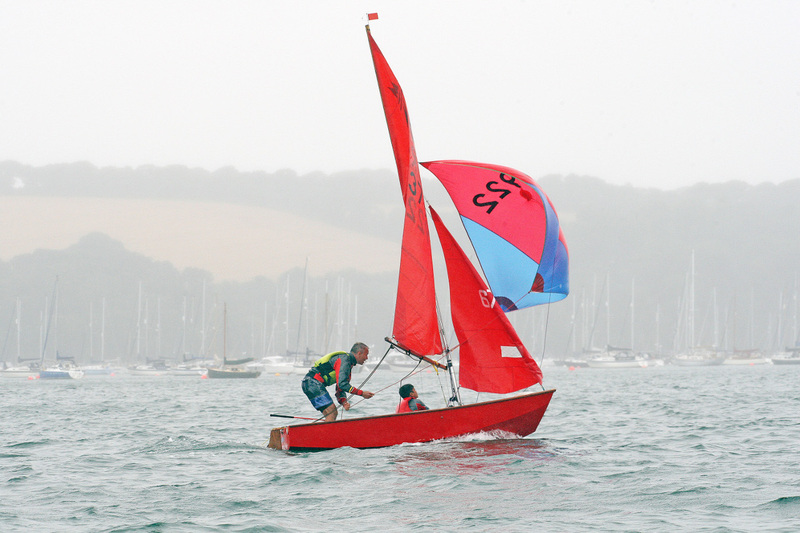 The water was reported as 'quite warm' by those who capsized and 'quite shallow near the windward mark' by Steve Bland from Poole YC who capsized, got his mast stuck in the mud and bent it getting it out.